You must comply with the conditions of the Learner's Permit, or Temporary Driving Permit. You should carry your Driving Companion with you in the vehicle when attending any training session in the CBT&A course. You must produce your Driving Companion on request to the Authorised Examiner (providing the training), or to any Authorised Person who may observe the training session. All Authorised Persons will show their official identification to both the Authorised Examiner and you at the beginning of any training session. When requested, you must allow an Authorised Person to ride in the training vehicle during any training session of the CBT&A course being conducted by the Authorised Examiner. 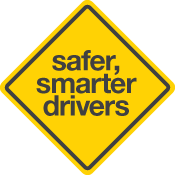 Other than the record of driving hours forms (Log Book) which are completed by you and your Qualified Supervising Driver(s), all other information, marks or details, can only be entered in the task requirement and assessment forms by the Authorised Examiner. You must not carry any passengers (or animals) during the last training session except for the Authorised Examiner conducting the training and any Authorised Person observing the training session. For safety reasons, you must wear appropriate footwear when driving - no thongs, bare feet, clogs (shoes with soles thicker than 3cm) or shoes without heel support. Failing to comply with the above conditions may result in this option being withdrawn. Learner's Permit conditions still apply until the appropriate licence is obtained from a Service SA Centre even though a Certificate of Competency has been issued. You may have to provide evidence that your vehicle is registered. by using an EzyReg smartphone app.